this on your booking form under "remarks". Stuart took us through all aspects of basic avalanche foundation training in amazing powder conditions - as the snow continued to fall. Stuart takes you through serious subjects in a really relaxed but professional way that creates a great atmosphere to learn in for the day. We have been coming regularly to Chamonix for many years, but the course is a real eye opener, even if you think you know what you re doing already. Thoroughly recommended! This review applies to the Wed 16 Jan 2019 - Chamonix version. Just back from a weekend with Stuart for the Avalanche Foundation and Progression courses. Two full-on days packed with learning, really useful advice and some great off-piste guided riding. Would definitely recommend the course if you want to ski or board off-piste and keep yourself and others safe. This review applies to the Wed 23 Jan 2019 - Chamonix version. Great course if you intend to ski off piste. 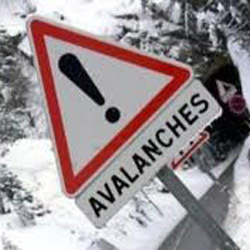 They teach the core fundamentals in avoiding an avalanche, and all the safety and recovery methods in the instance of an avalanche. Everyone is friendly and helpful. Definitely worth a try. This review applies to the Sat 15 Feb 2020 - Chamonix version. Many thanks to Adam, who provided a wealth of information,which was delivered in a very interesting and engaging format.Learnt many new and interesting facts. I think these courses should be compulsary for off piste riding. Hands on - just what I needed! I attended the Foundation course with Stuart having read several books on the subject, but still unsure how to put the facts into practice. This course did exactly that! There was obviously much more than this is the course. I would fully recommend taking this course without hesitation to anyone. This review applies to the Sat 11 Jan 2020 - Chamonix version. This was excellent training to equip us with the basics for understanding snow, how it can move, and why. I very much appreciated the hands-on nature of the course, digging holes, looking at the snow in close-up and how to feel for layers through the snow. Money very well spent; if there's a space on a course, grab it - it may it will save your life or your friends' lives one day. I have been on many courses with Mountain Instructors and Guides over the last decade or so - this was by far the best, not to mention the best value. Top drawer training from Stuart. I cannot recomend this course highly enough.